Securities and Exchange Board of India (SEBI) has prescribed warehousing norms for agricultural commodities and is in process of doing the same for the non-agri commodities, said Mr P.K. Bindlish, CGM & HOD-Commodity Derivatives Market Regulation Department (CDMRD), SEBI said at an ASSOCHAM event held in New Delhi today. SEBI has taken a number of steps in this direction for more participants for more awareness programme in commodity derivatives and risk management. SEBI has started a system of commodity trainer's concept to train them and this training session for commodity trainers will be conducted in 10 days time. 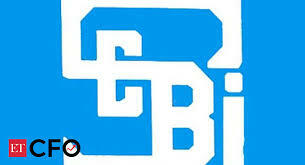 SEBI will continue with its endeavour of development of commodity derivatives market, said Mr P.K. Bindlish, CGM & HOD - Commodity Derivatives Market Regulation Department (CDMRD), SEBI while inaugurating an ASSOCHAM 16th Commodity Futures Market Summit. The expert advisory committee constituted to advice on risk management system. All settlements and cleaning to be handled by cleaning corporation system. He also said, the two exchanges have submitted proposals for clearing corporations; one will receive clearance soon, said Mr P.K. Bindlish. He said that the guideline for foreign entities on hedging activity is expected to be soon. He further said, all India Consultation to finalise the guidelines for exchange of mutual funds underway. Any exchange can provide any product by 1st of October onwards. He said, increasing institutional participation in the commodity derivatives markets. Category III AIFs have already been allowed. He also said that creating awareness amongst the farmers and FPOs with help of other institutions like NABARD. The objectives of commodity derivatives and other derivatives, i.e., hedging and price discovery, as well as in trade practices and mechanisms, and with a view to usher in the next wave to reforms in commodity derivatives market, the government of India merged the erstwhile FMC with SEBI in order to bring convergence of the two markets, said SEBI official. Mr Shashank Saksena, Advisor (CM), Department of Economic Affairs, Ministry of Finance said, regulators, policy makers and other stakeholders need to look at integrating the spot market with the derivatives market. On the derivatives markets, the SEBI has taken number of steps and government has also provided policy features to develop these commodity derivatives markets. Creating market institution which can provide the post-trading infrastructure and post-delivery mechanism to facilitate the integration of spot and derivatives markets which will be challenging, said Mr Shashank Saksena.